Evernote, a note taking software suite that launched in 2008, provides an easy,free way for users to store information in the cloud, and then access that information from any Internet connected computer, smartphone, or mobile device. And it’s perfect for pennywise daily deal shoppers. Not using Evernote yet to track your daily deals? Here are four ways to get started. We all have a list of gifts we need to purchase each year for birthdays, anniversaries, holidays and other special occasions. Those who keep paper lists know that when their list isn’t accessible everywhere, good deals often pass them by. By using Evernote to keep gift ideas and special occasion reminders, you can then view your lists when you’re sitting behind your computer or browsing daily deals on your cell phone. Is that daily deal really a good buy? Find out by using Evernote to store pricing information on goods and services you normally invest in. One of the benefits of Evernote is that users can go paperless on a whim. Instead of printing out daily deal vouchers and running the risk of misplacing them before you cash them in, you can store your daily deal purchases in a self-created coupon wallet, and print out the vouchers when you’re ready to use them. Evernote will help you keep track of daily deal vouchers, expiration dates, and voucher terms and conditions. We all need to live on some sort of budget, and Evernote is the unique, free budgeting tool that goes with you everywhere. By using a scanner, you can scan receipts and other purchases to keep track of expenditures, and you even store digital daily deal vouchers for later viewing and management. Evernote is a second brain and digital filing cabinet all in one, and it’s the perfect tool to manage your daily deal shopping. 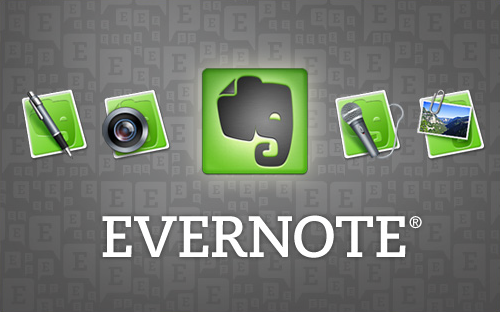 Basic Evernote accounts are free of charge and can be signed up for online. You can access Evernote via the web, installable computer software, or mobile device. To find out more, watch this quick video to see the many ways Evernote can work for you.